1. Only English version support english voice control, Russian version does not support voice control. 2. 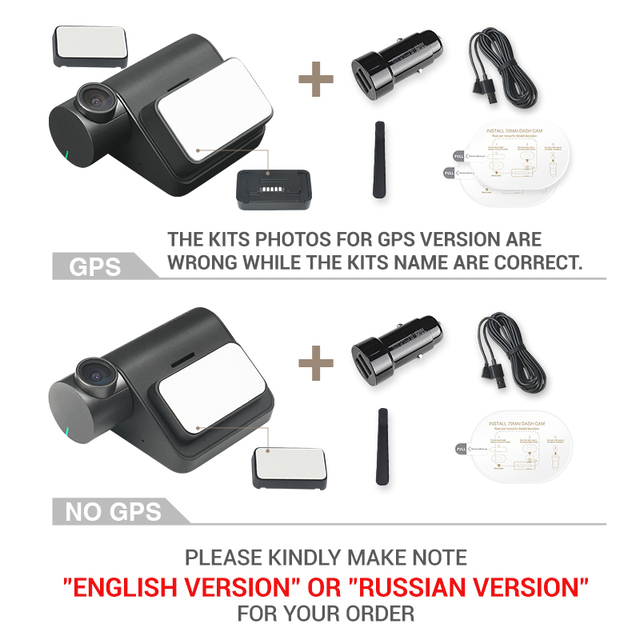 There are two version for the 70mai Dash Cam Pro: No GPS version and with GPS version. Please kindly choose and buy the best one you want. 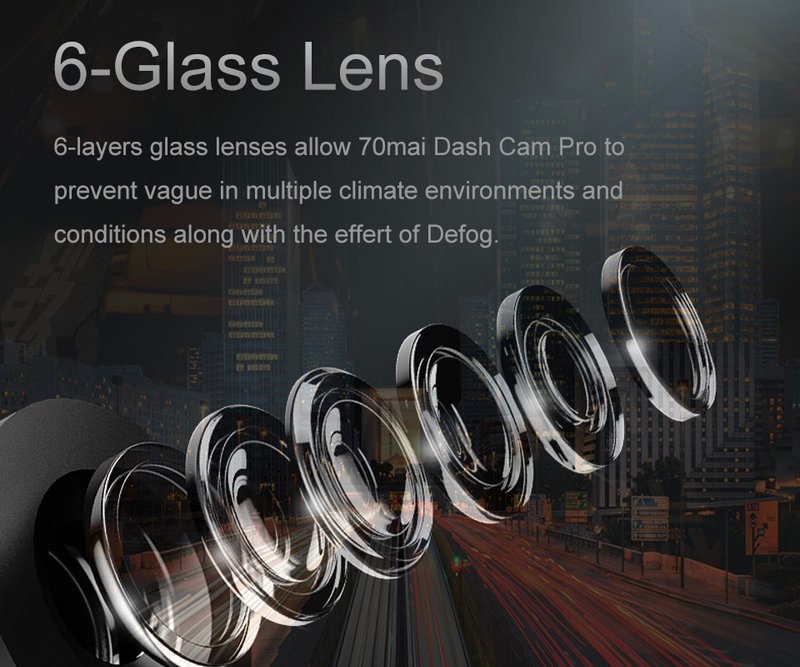 Due to the G-sensor technology, 70mai dansh cam pro can automatically start recording when collision detacted. 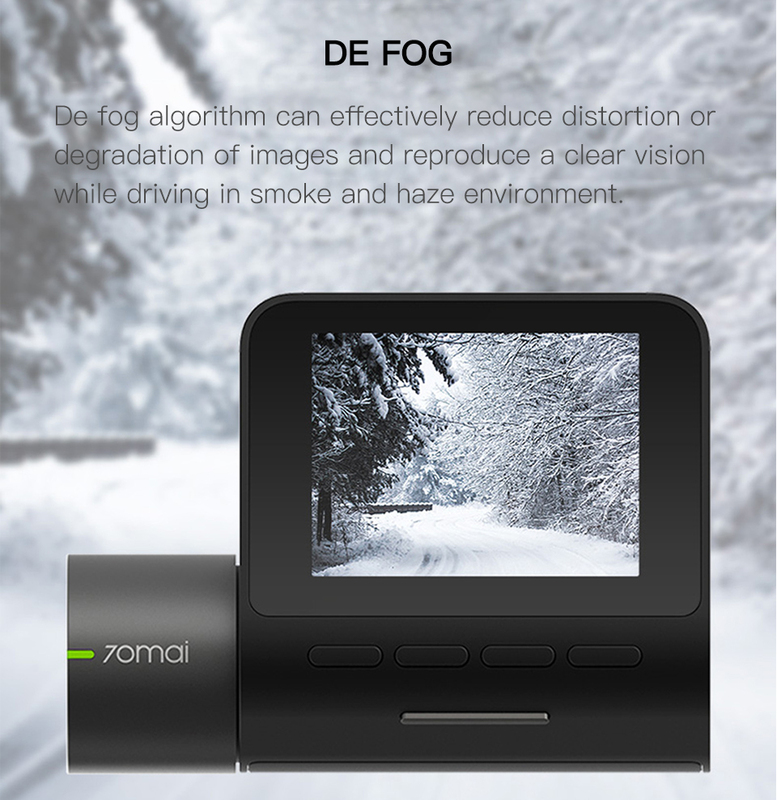 Defog algorithm can effectively reduce distortion or degradation of images and reproduce a clear vision while driving in smoke and haze environment. 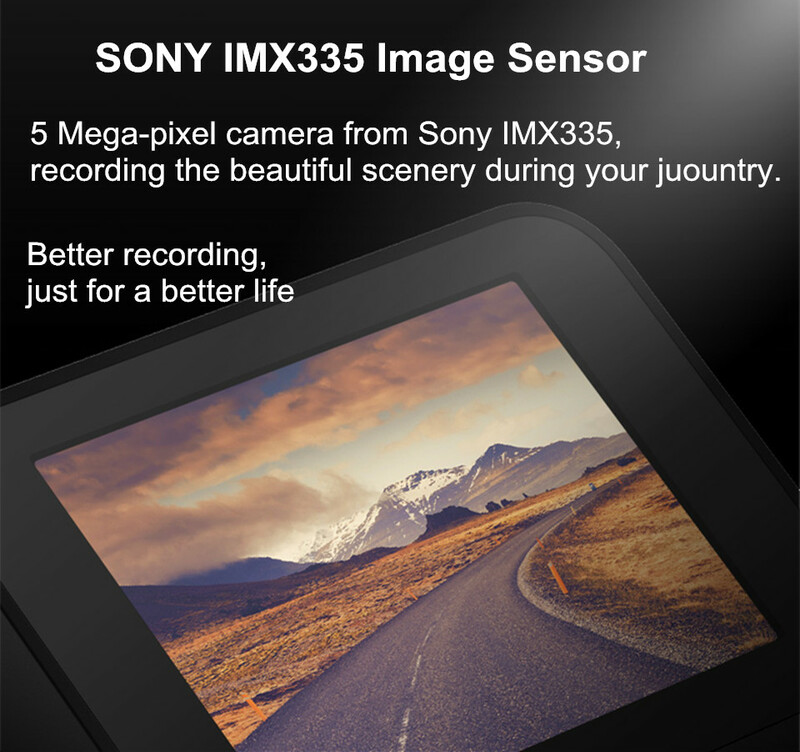 allowing the dash cam to process more light on the sensor and produce a more vibrant image. 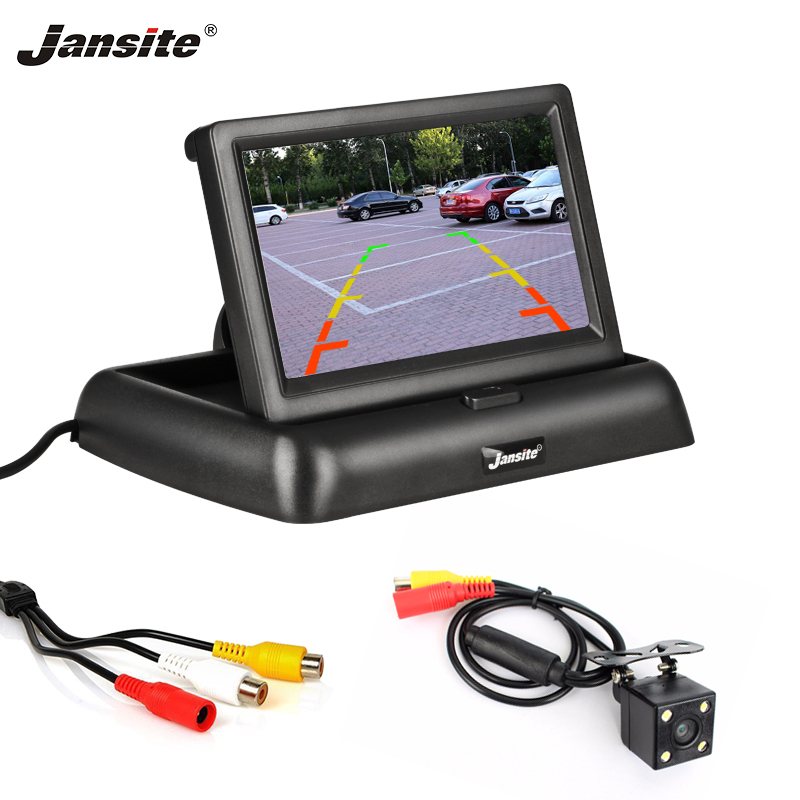 140deg Wide Angle allows a larger viewing angle to be recorded, and enables drivers to see 4 lanes of traffic. 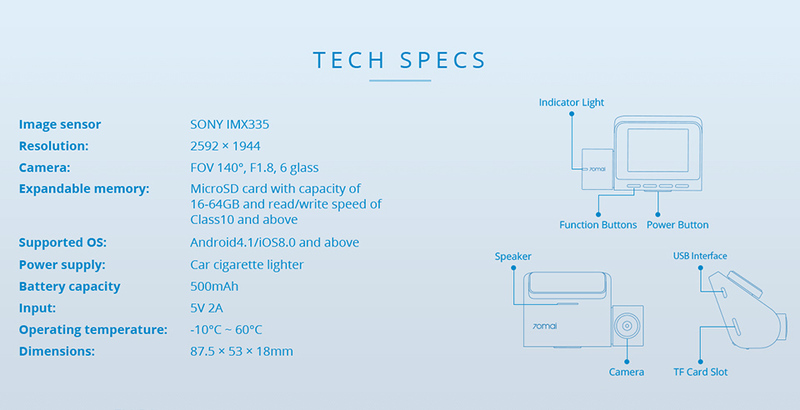 Along with 6 glass, it can provide light transmission, thus recording crystal clear video. 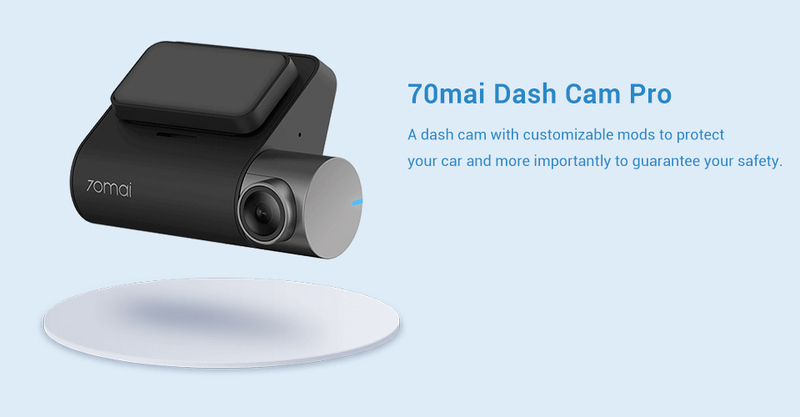 The 70mai Dash Cam need only with TF card that can work with storage for video. 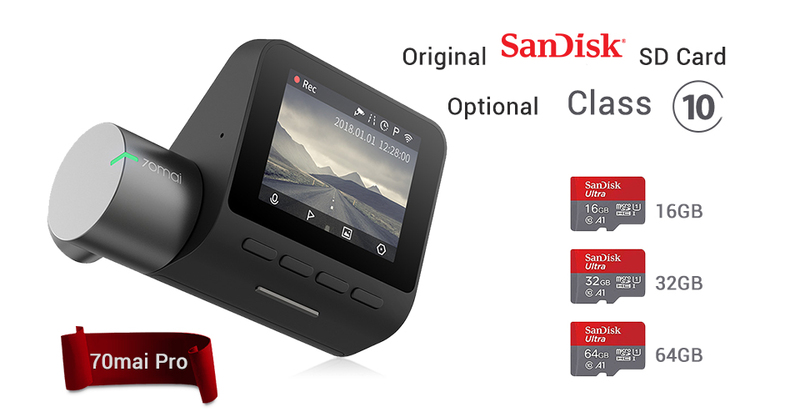 The original Sandisk Class 10 TF card is the only authorised brand from 70mai. Seller will only recommend the The original Sandisk Class 10 TF card to buy. Usually most customers would like to buy the 32GB TF card for normal using. You can effeciently control 70mai dash cam pro to take pictures, record videos and opening screens whithout manuel manipulation but by convenient voice command. 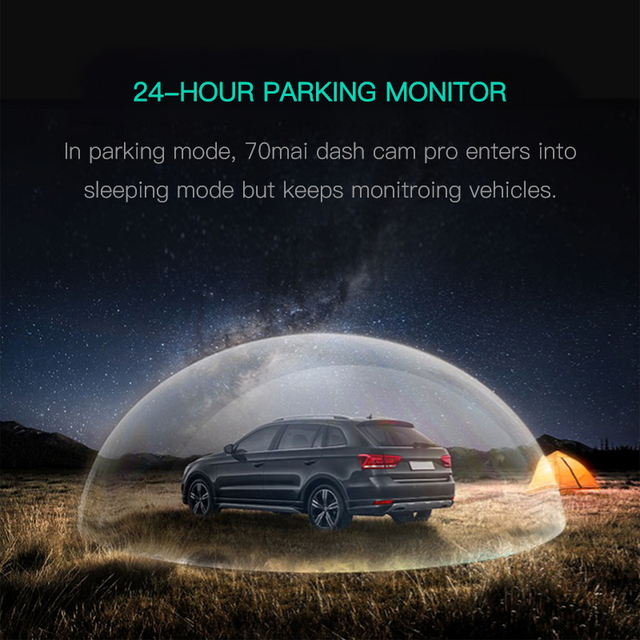 In parking mode, 70mai dash cam pro enters into sleeping mode but keeps monitroing vehicles. 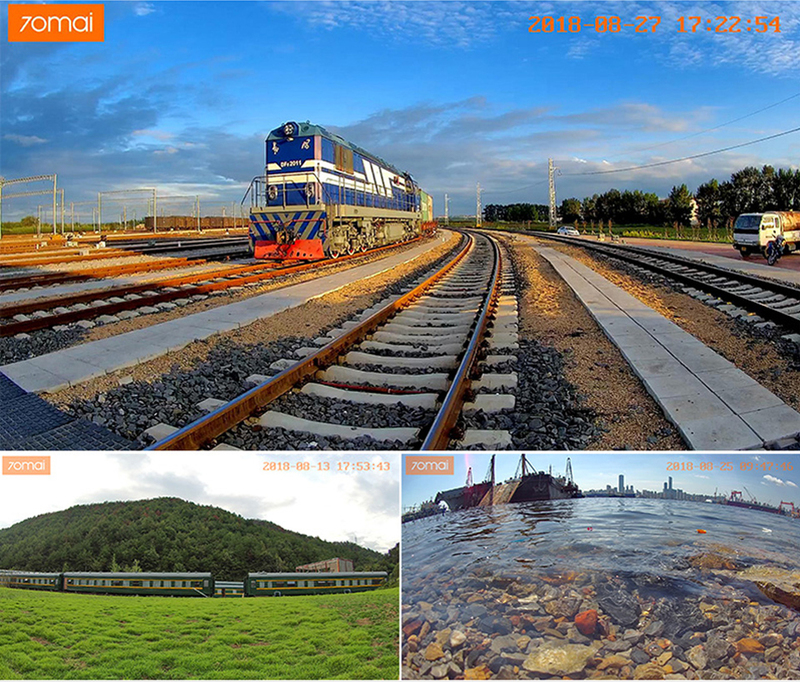 The time-lapse allows efficiently use of storage, and automatically overwitten the oldest footages with the latest ones. seperately in Event Files, avoiding being erased. 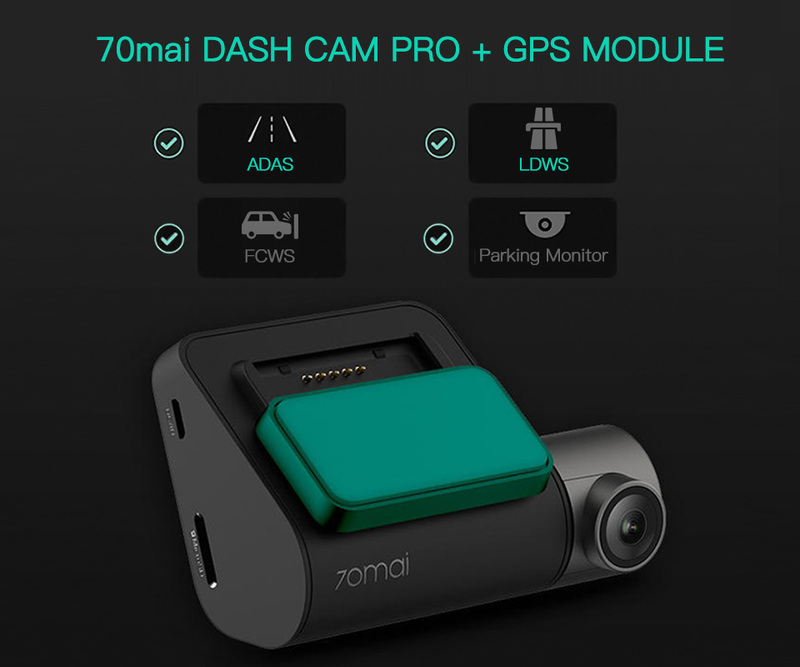 Besides the basic function of dash cam, 70mai dash cam pro will guarantee you a safer drive by monitoring sync traffic environment. 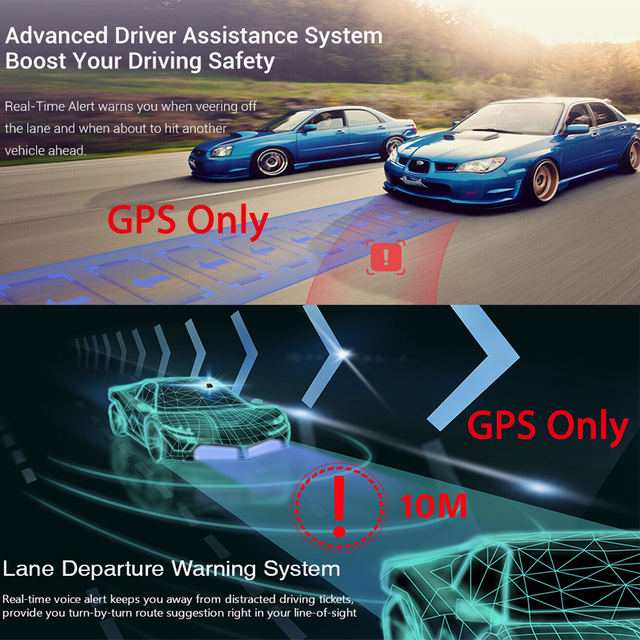 provides lane depature and forward collision warnings, rectify driving and assists drivers. Real-time voice alert keeps you away from distracted driving tickets, provide you turn-by-turn route suggestion right in your line-of-sight. ​ FCWS helps drivers to keep safe distance between vehicles, as well as to effectively prevent and reduce rear- end crashes and accompanying injuries, especially for long fatigue driving, traffic jam or novice. ADAS, A modern highly sophiscated safety feature designed to boost driving safety. warnings, rectify driving and assists drivers. 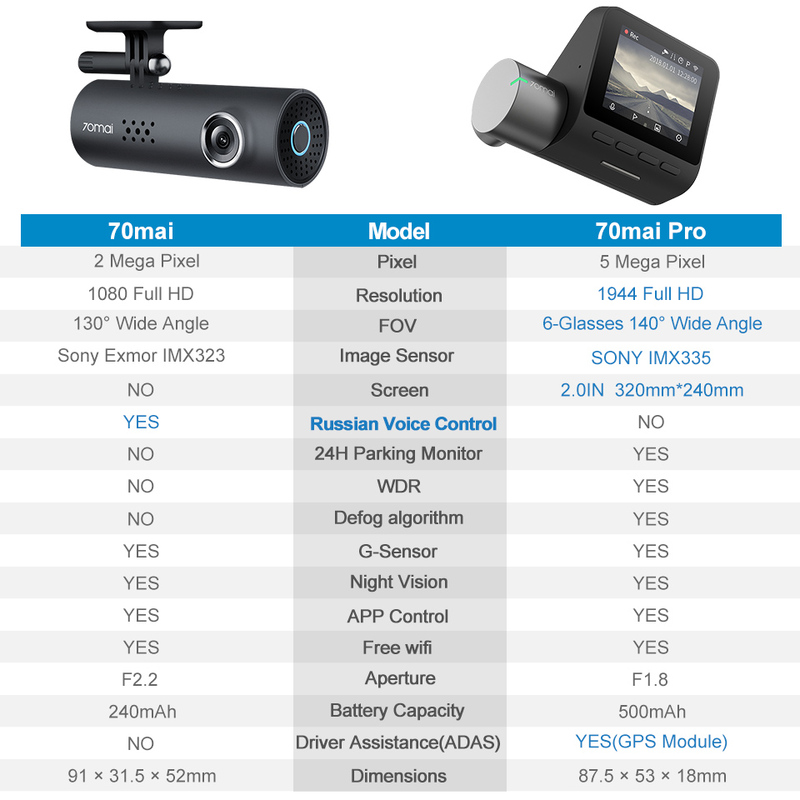 1.What car models does 70MAI smart dash cam pro suit for? 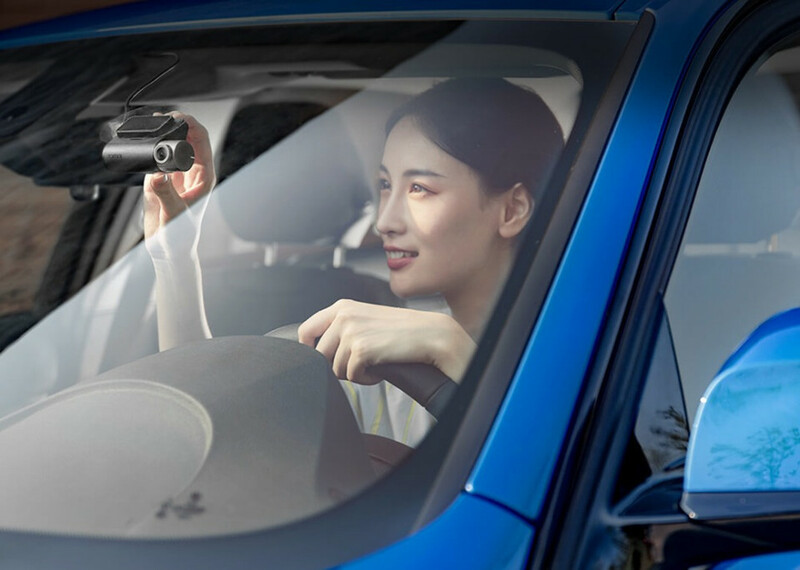 As the 70MAi smart dash cam pro provide the electrostatic adhension installation, it is suitable for 95 % cars modelsin the market.But some models of Volvo can’t use the power normally due to the difference in the interface of the original car cigarette lighter.Please buy it with caution. 2.How is the product packaged? What will be shipped about this product? 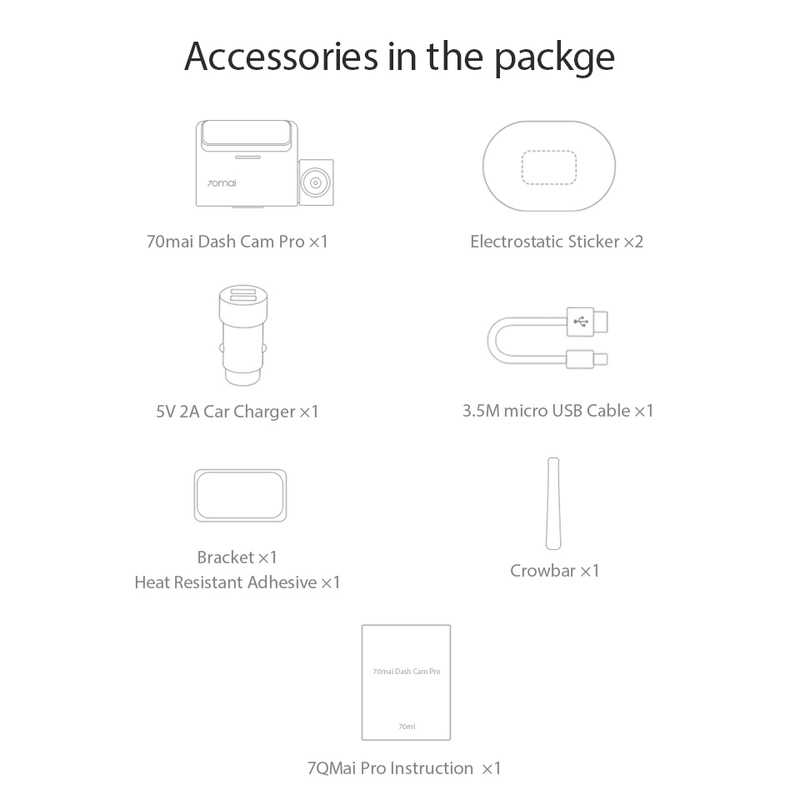 The product is originally packaged in a cardboard box, which can guarantee that there will be no damage during transportation.it includes one camera, one car charger, One 3.5m charger cable,one static electricity sticker and User Manual. 3.What is the video spec? 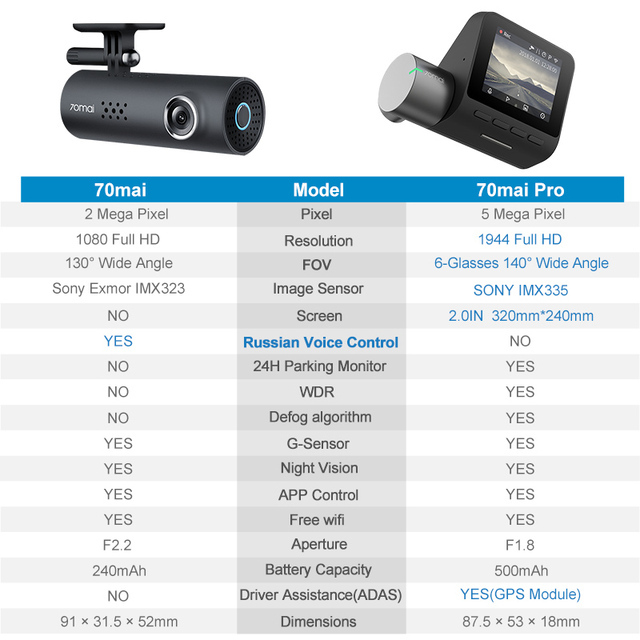 70MAI smart dash cam pro supports recording videos of 1944P, i.e. 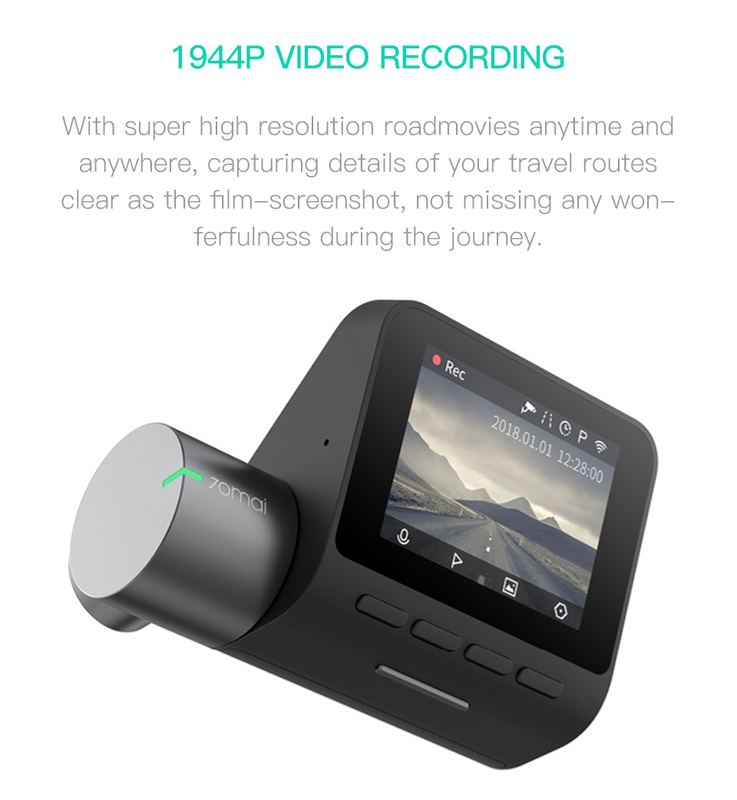 the dimension of the video is 2592*1944 pixels.Every second the dash cam records 30 frames, i.e. 30FPS. 4.Do I need manually turn on and off the dash cam? 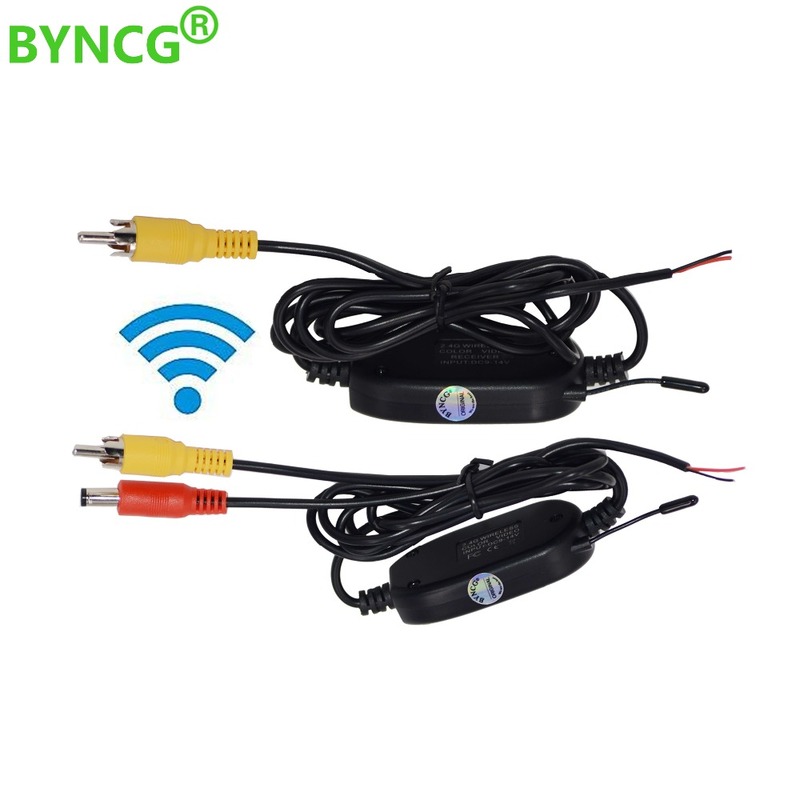 After the dash cam pro is connected to the cigarette lighter receptacle in the car, you do not need to manually turn on or turn off it. Every time when the car is started (ie, the cigarette lighter port is powered on), the dash cam pro automatically boots up. 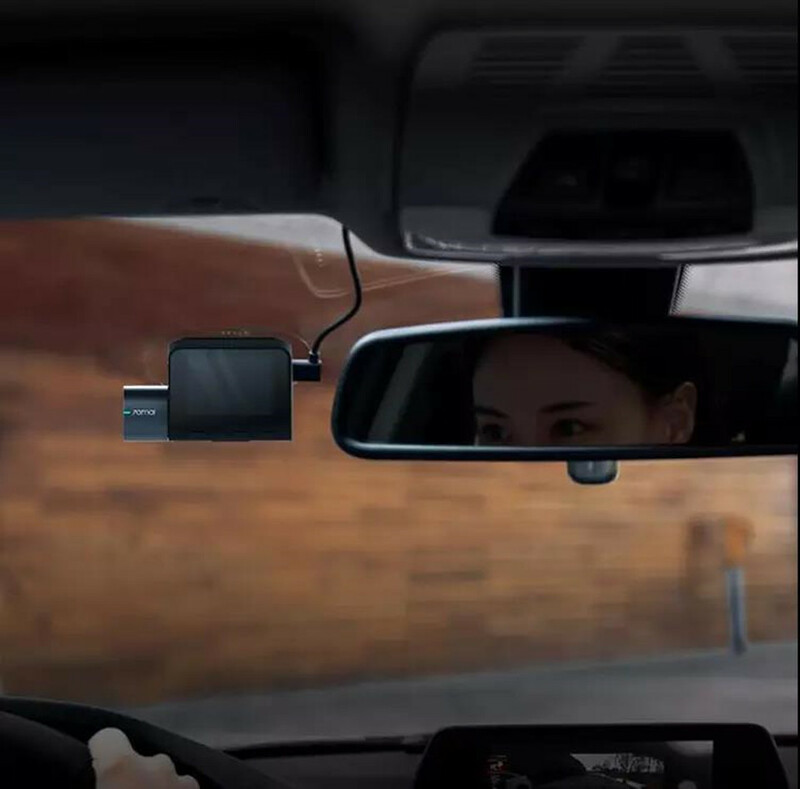 The dash cam pro will turn off automatically when the vehicle is turned off (ie, the cigarette lighter port is powered off). Some vehicle’s cigarette lighter keeps being powered on even when the vehicle has been turned off, in this situation, you need to manually turn off the dash cam pro. And the next time you start the vehicle, you need to manually turn on the dash cam pro. 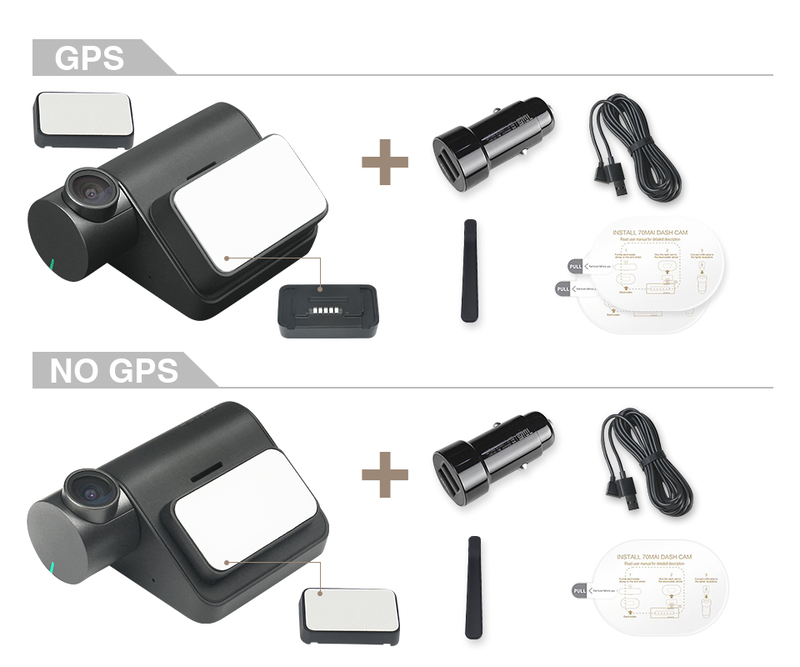 5.How to observe the running status of the dash cam pro? Check the status indicator on the side of the dash cam pro. 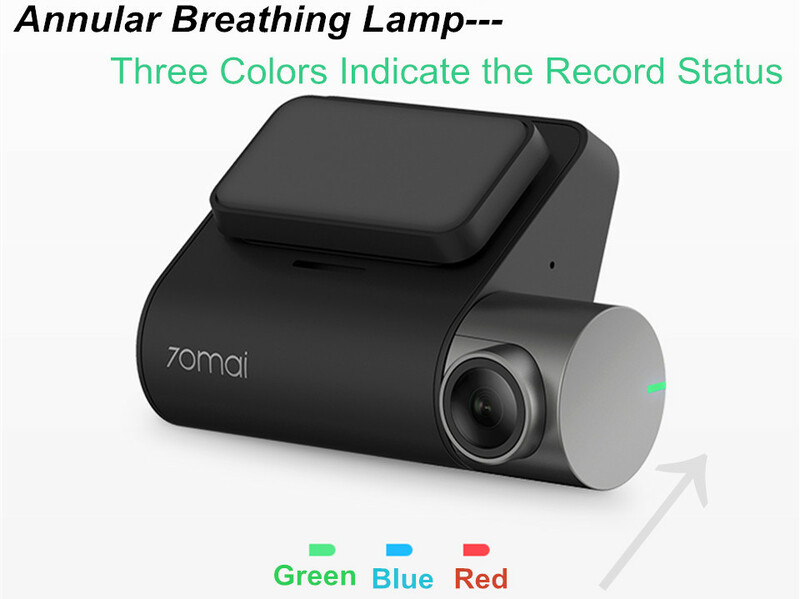 If the indicator is green, the dash cam is recording normally; if the indicator turns red, it means that the recording is abnormal. 6.What memory card does 70MAI support? 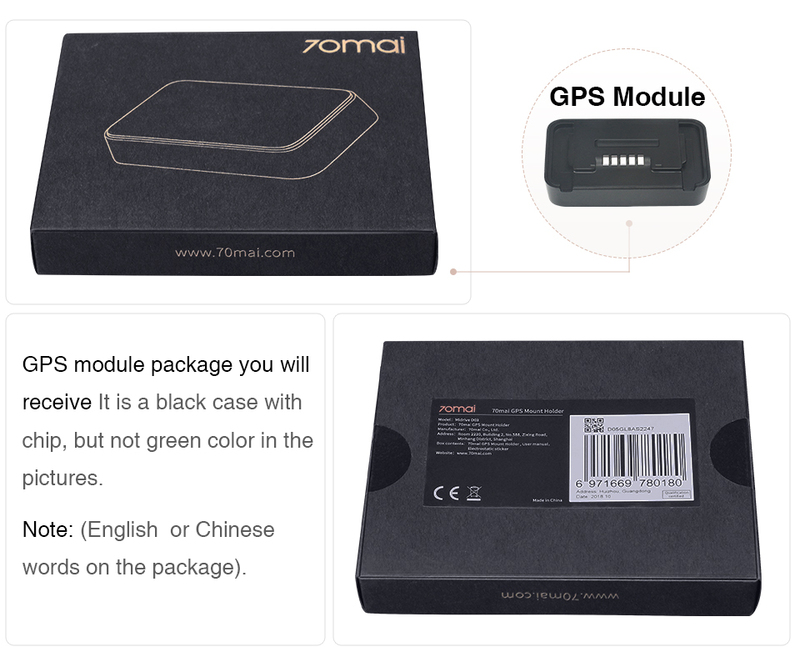 70MAI supports standard Micro SD card (TF card) with the capacity of 16GB to 64GB and speed at Class10 or above.Make sure you use high-quality storage cards from a known brand. 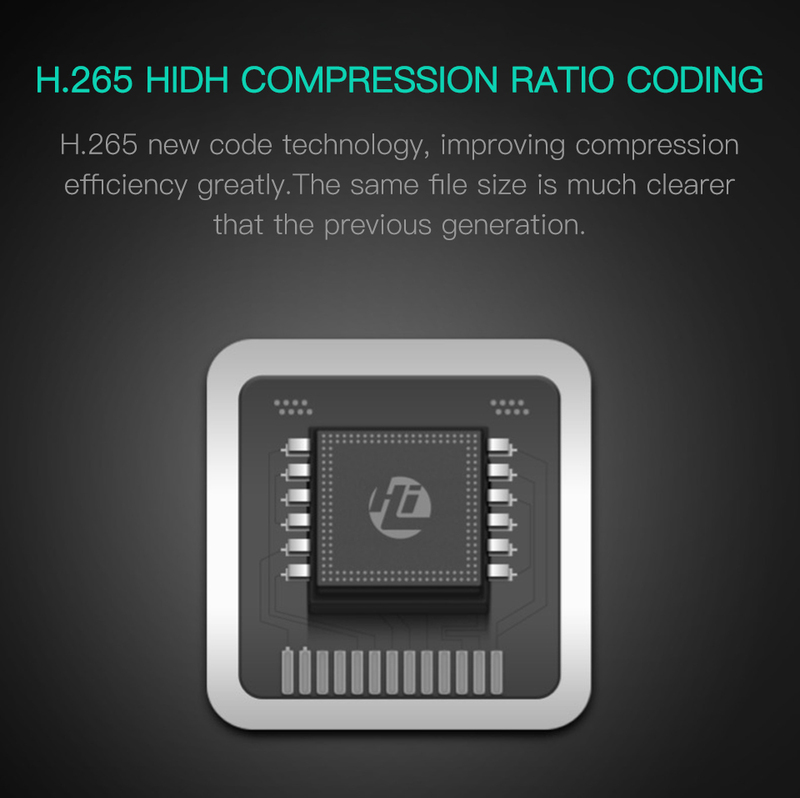 The actual writing speed and capacity of the low-quality storage cards may be lower than declared. Video aren’t normally saved to low-quality storage cards. We don’t take any responsibility for such cases. 7.Does 70MAI support firmware update? 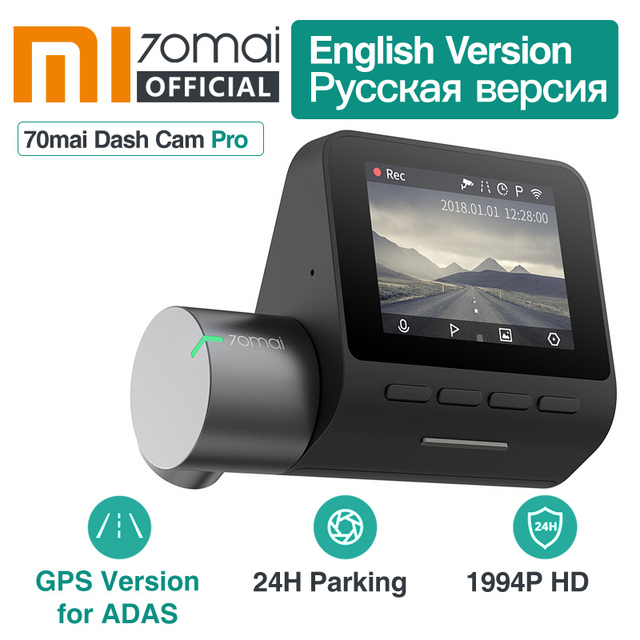 Yes you can update the firmware of your 70MAI smart dash cam pro. 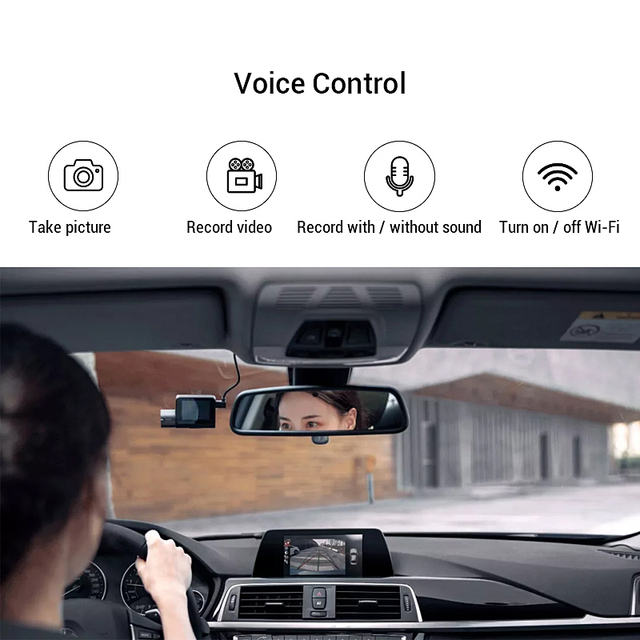 Download the update package by the 70MAI App, and push it to the dash cam by Wi-Fi connecting. Next time when the dash cam boots up, it start to update automatically. 8. Why does it show that cannot connect to the Internet even if I use the 70mai WIFI? The 70mai free wifi can only be used for 70mai APP and you can not use the wifi for other APPs. 9. Why does it only record many 1 min video, can it be 2mins, 3 mins, 4mins or longer? The video is 1 min each time. The reason is that the DVR pro will remove the earliest video automaticlly when your card is full. If the video is too long, maybe all the longest video will be removed. When you want to check some video especially some important time, you can not find anything there. 10. Why does it shows 70mai, not Xiaomi logo? 11.Don’t know how to use the 70mai cam? 70mai Official Store is the only official store authorized by the 70mai brand and purchase directly from 70mai without any transfer link. It is committed to sell 100% original authentic products. The item will be sent out it within 1-5days after payment. After the payment , aliexpress takes around 12-48hours to confirm the payment making sure the fund channel is safety. Please do not worry, once pass the approve we will arrange the delivery asap . Delivery from China, parcel is picked up by by Aliexpress logistics team. Once arrived at your country, the tracking detail can be checked on your local post website. 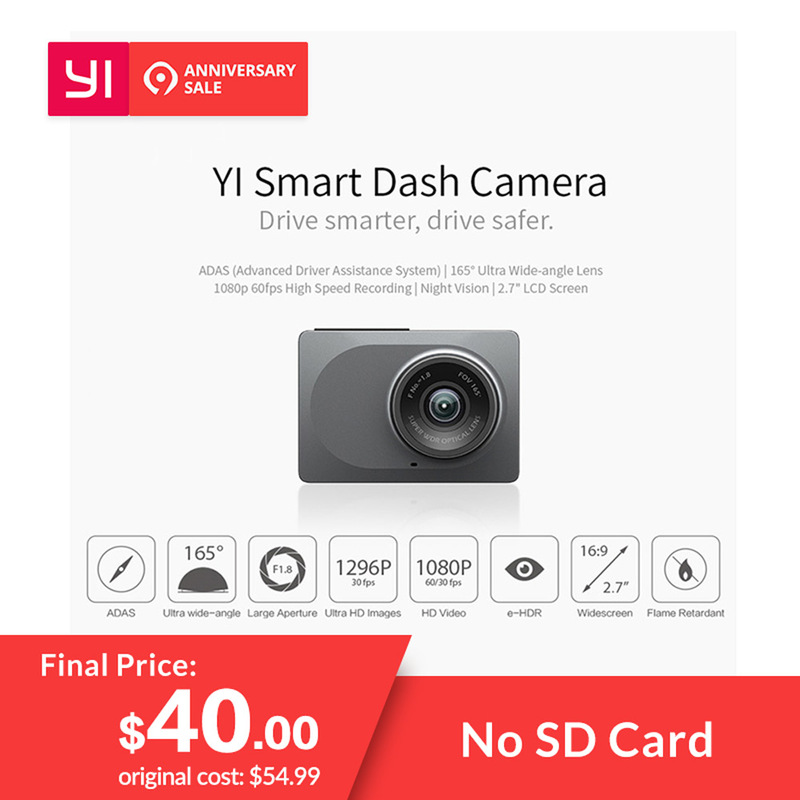 This warranty does not apply to damage caused by accident, abuse, misuse, or modification of the product.70mai Official Store offer 7days replacement or full refund after client receipt if the products without personal error use and damage. If product has problem within 1 year after your confirming receiving it, you can return it to us , we can repair it. However, you should bear the shipping cost. You can apply for ” no reason to return goods within 15 days”. The goods returned by the buyer shall not affect the secondary sales of the merchants.For the expenses incurred in returning and returning goods, the principle of responsibility shall be followed. If you have any questions, please contact us in advance, we will try our best to help you solve it at first time. Also, if you are satisfied with the product after receiving and checking, please give us a 5 star feedback, which will help others to know the product more. Appreciate your kind feedback and support.